The impact that technology has had and continues to have on the education sector is profound. The new normal in schools is for there to be a chief technology officer. The new normal is for students to have access to laptops and tablets and to be able to take them home. What isn’t intuitively obvious to outsiders looking in, is that the skills being taught – and learned – aren’t just the technology skills inherent in computing. Rather, the evolving role of technology in teaching/learning is to prepare students for success in a rapidly-changing world, regardless of the chosen career. One important example of new learning methodologies that leverage digital technology is collaborative learning. We know that learning outcomes significantly improve when students are actively involved in a project. Collaborative learning encourages students to create groups and work together to solve a given problem. This approach has a number of benefits and outcomes. Developing social skills. Collaborative learning allows students from different backgrounds to work together. They come together in a setting that would not be possible if it were not for collaborative learning. In order to solve the project’s problem, they need to communicate. They hear different opinions and learn to respect them. Learn from peers. In a small collaborative group, when a question is raised, different students can have different answers, and so students learn from each other and understand different perspectives. Build trust. The quality and speed of successful project outcomes are enhanced when students learn to trust one another. This is an important life lesson. Engage in learning. In a small group setting, students are able to express his or her ideas. This can deliver a feeling of importance and value. The learning experience becomes more rewarding and students engage more deeply. Gain confidence. As the team progresses in their projects, they gain confidence. Collaborative learning can also help shy students express themselves more. These are all attributes and outcomes that will enhance learning and prepare students for the kinds of team work they will experience in tertiary education and in their worklife. Office 365 is a ubiquitous set of tools in both education and business. It is a perfect match for the practical implementation of collaboration. The student can share files and collaborate with trusted peers and share to the whole team when the he or she feels ready. Office 365 provides a central place where everybody can communicate, access files that makes working together easy. Working with files stored in OneDrive provides a foundation to share and edit together. This avoids having to email each other and having to juggle multiple versions of a piece of work. Microsoft Teams and/or Sharepoint has all team files, communications and more in one place. Office 365 even allows co-authoring in real time. individual desks towards a collaborative space where students think more intuitively and creatively about a subject and develop empathy for others’ perspectives. Students need digital tools that encourage this type of interaction and learning in and out of the classroom. HP digital solutions accompanied by Windows 10 and Office 365 maximise learning outcomes, focusing on planning, leadership, collaboration and total access to content for always-on, always-connected teaching and learning. HP was born on a university campus and continues to be committed to furthering innovation in the classroom. 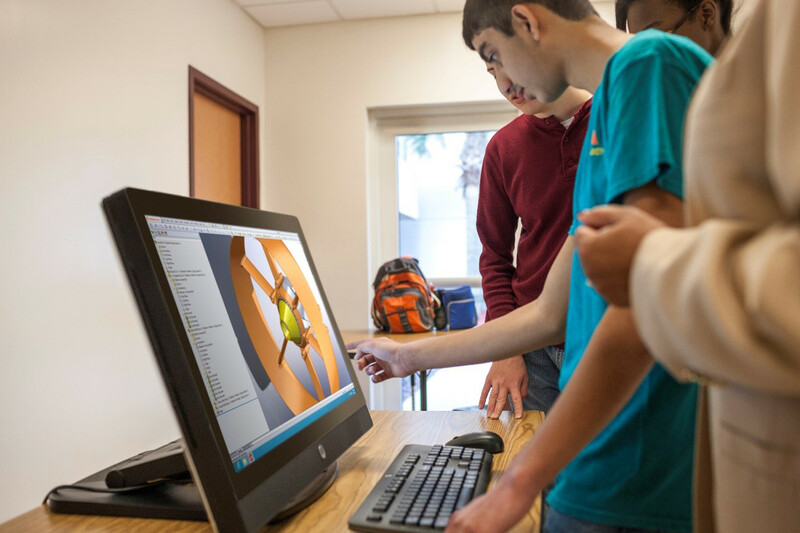 HP helps enable teachers to educate at the top of their instructional game by using technology that engages students and enhances the learning experience.